The All Results Journals: Any efficient treatment for heroin addiction? Any efficient treatment for heroin addiction? Heroin, or diacetylmorphine, derives from opium and was developed in London in 1874 as a new therapeutic drug for the treatment of respiratory problems such as pneumonia, bronchitis and tuberculosis, as well as analgesic for acute cases of pain produced by injuries or painful and/or terminal diseases. At the beginning it was believed that heroin didn’t present addictive properties; however, the opposite was soon observed and nowadays presents one of the most devastating illegal drugs in our societies. Since heroin is an opiate, the user cannot stop using this substance abruptly because the withdrawal symptoms are very complex and severe; the heroin must be replaced by another drug. Actually, the conventional treatment for heroin addiction consists in the use of substitution drugs such as methadone and buprenorphine. These drugs attach to the same receptors that heroin does, but have weaker effects, meaning the addict can control his/her life again. These treatments had shown their efficacy during the last two decades. Using these treatments, addicts have used illicit “street” heroin less. Therefore, these opioid drugs present the first-line response to the heroin addiction. However, the studies show that the treatment is not useful for some patients. Normally, these patients are chronic heroin-addicts that have tried several times to follow up a detoxification program. This is an example of how negative results lead to a new and more efficient research that finally reports a benefit to the society. Considering these bad results in one group of patients, in 2012 The European Monitoring Centre for Drugs and Drugs Addiction published a report about a new heroin-assisted treatment. It was the results of several studies carried out by Dutch, German, Canadian and other research groups about the use of supervised injectable heroin for the treatment of these patients. 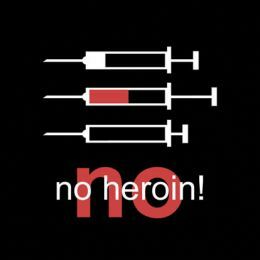 This a controversial bet for this problem because many people may think that this is another way to give more heroin to heroin-addicts. However, we must realize that supervised injectable heroin (SIH) treatment is the second line of response for this problem when the treatments with methadone fail, and the treatment must be strictly supervised by clinicians. Research with SIH started in Switzerland during the 90s. These investigations have shown that the patients treated with SIH reduced their use of illicit “street” heroin at a higher level than the patients treated with methadone, and in some cases they stopped using it completely. When the candidate presented an addiction to other drugs such as alcohol or cocaine, the reduction of consumption of these drugs was also observed, although to a lesser extent. On the other hand, the patients also developed significant improvements in psychological and physical health and social relationships, perhaps by reducing their criminal activities. However, this treatment is not free of side effects or aspects. The report of The European Monitoring Centre for Drugs and Drugs Addiction is an example recognizing and reporting the weak points of this treatment. 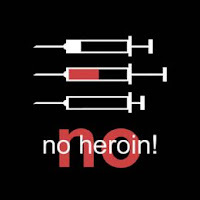 First, the use of injectable heroin can produce more important adverse problems in the patients compared to the treatment with methadone, therefore, strict medical supervision is needed and more resources must be orientated in order to ensure the patient’s safety. Second, the cost of this treatment per patient compared with the cost of the methadone program per patient is very much higher. The SIH program costs between 12700 and 20400 Euros/patient, while the methadone program costs are around 1600 and 3500 Euros/patient. This discrepancy in the costs between programs is because of the strict medical supervision needed in the SIH program in order to ensure the patient’s safety. The SIH program requires the presence of two clinicians for heroin administration and the clinics must be open at all hours in order to avoid the take-home dosages, which are completely disapproved. However, we must consider that in these costs the benefits for society because of the reduction of criminality are not included. Finally, another example of how the bad and good results can be reported presenting both the good and bad aspects of a study can be found in The European Monitoring Centre for Drugs and Drugs Addiction report. In this report we can see a specific point in order to explain the efficacy of this treatment. The authors explain which studies had been selected in the report and which ones had been rejected and why. They explain in detail the results of all the studies considered. Written by Dr. Daniel Jimenez and Dr. David Alcantara for The All Results Journals. This post was really amazing. I hope that more people will have time to read this article and share this to everyone especially for teens and students that are having this kind of problem and help themselves fight this kind of illness.